This oasis for books overflows. 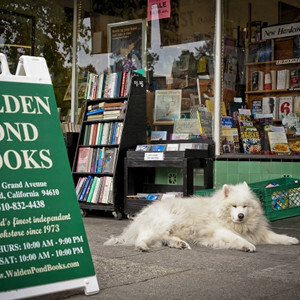 Truly, there are so many books that many discounted volumes are stored on the sidewalk. 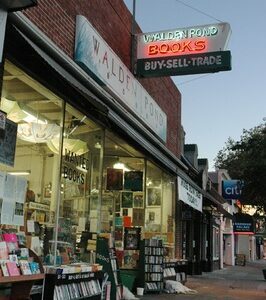 Some people will be charmed by the antiquated appearance of the store. Others will find the creaky floors distracting. You can even find music in the vinyl format. ( It revolves mostly around jazz.) It doesn’t overwhelm the presence of books but it is a respectable assortment. 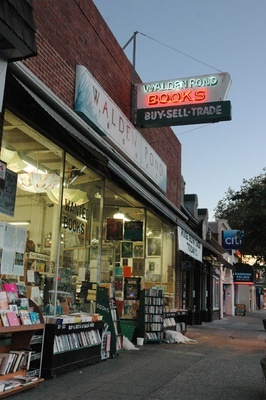 In the spirit of bibliomania, there are frequent postings of events for authors in the store or in the neighborhood . 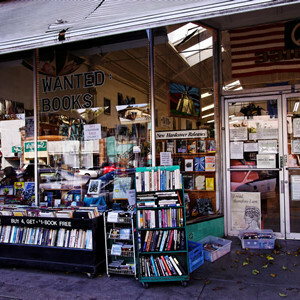 Most bookstores have been stereotyped as cat dens. 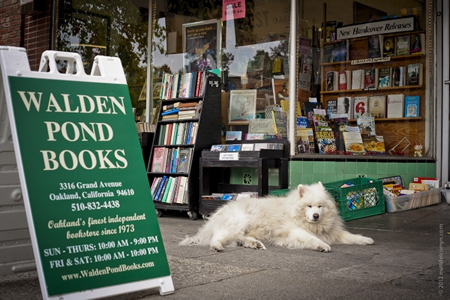 Amos and Kip are the canine residents of Walden Pond Books. 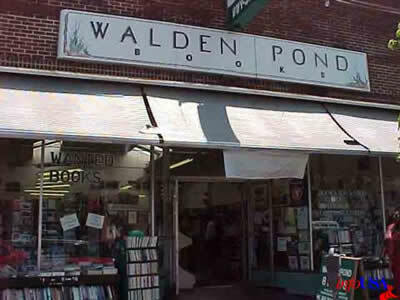 The name, Walden Pond, is borrowed from Henry David Thoreau. He published the iconic collection of essays in 1854. 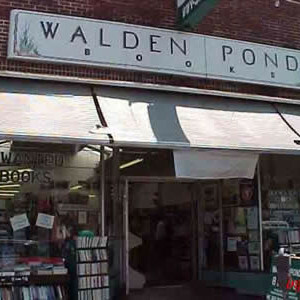 Walden Pond Books is a proud beacon of simplicity and self-reliance. 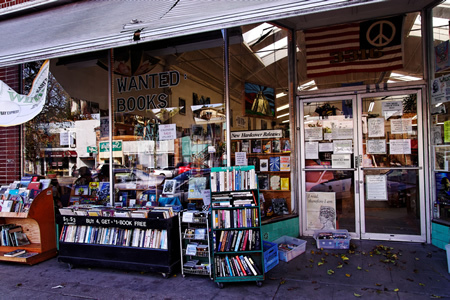 It has stood since 1974, primarily serving the Oakland/ East Bay communities.